Don't let bed bugs, dust mites, bacteria and other allergens ruin you sweet night rest! What Sweetnight 2-pack pillow covers help for you? -Provide you comfortable night sleep with 100% cotton material and control nighttime allergies. Incredibly easy to care for! Machine washable, tumble-dry, but no bleach or iron, recommend washing your pillow protectors quarterly. Your satisfaction is utmost important to us, feel free to contact us, we are here at any time! 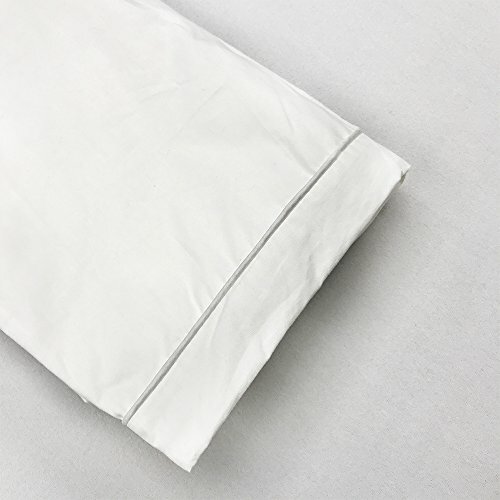 COMFORT SLEEPING-Made of 100% cotton sweetnight 2-pack pillow cases adjust continuously to your body temperature for a better night sleep. PERFECT FIT SIZES-Set of 2 Sweetnight pillow covers perfectly fits queen sized pillow measuring 20"x30"